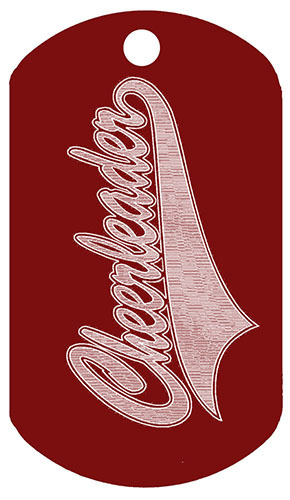 Cheerleader custom engraved dog tags personalized with your information. No minimum orders- buy one for yourself or buy enough for your whole group. 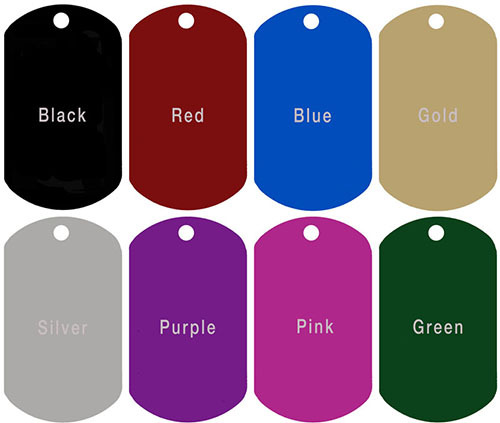 These custom dogtags are made from an anodized aluminum tag. Military style engravable dog-tags are made with logo as shown with your own text you enter below. 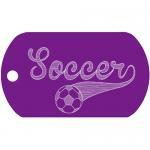 *Engraved tags will be custom engraved exactly as they appear and with the custom text you enter. -If you leave a field BLANK, we will leave that field BLANK. All text will be centered. These can be custom engraved necklaces, custom key rings, door prize or raffle prize tickets. Customize these party tags for birthday gifts, wedding favors, military girlfriend / spouse presents, key chain bling and more.